Roadford lake situated right on the Devon and Cornwall border. 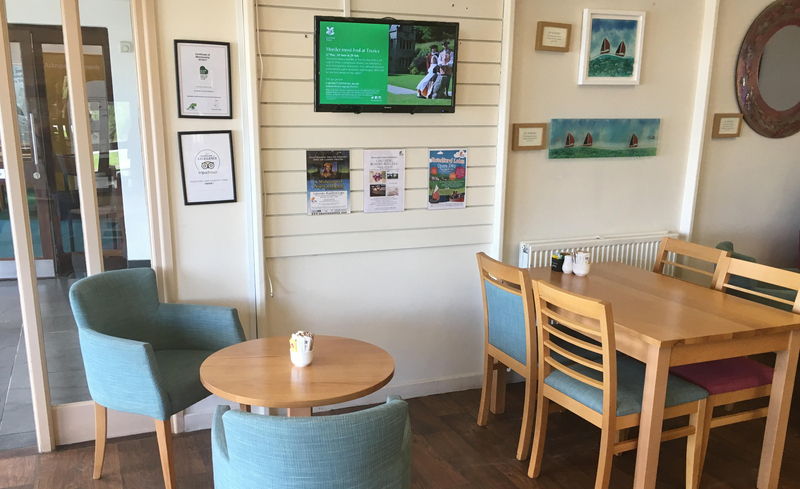 The lakeside cafe is in the Southwest Lakes Trust land right next to Roadford Lake. The lake is used for water sports and has excellent facilities. There is also a great footpath around the lake for dog walkers. The 24″ advertising screen is located inside the cafe.